Of course, one doesn’t need to be a fan of Formula One or the Scuderia Toro Rosso F1 Team to appreciate the ECB-900YDB. 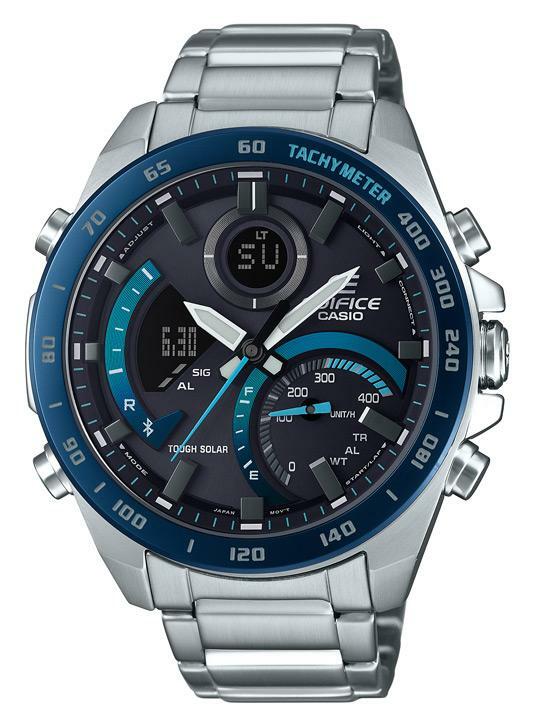 Those partial to the Edifice collection would already be familiar with the watches’ testosterone-charged, smart-casual versatility. Measuring 51.5mm by 48mm, the ECB-900YDB is not dainty watch by any means – and certainly not meant for those looking for a quiet dress watch. In spite of refinement afforded by the polished steel case and bracelet, the watch WILL dominate the wrist. 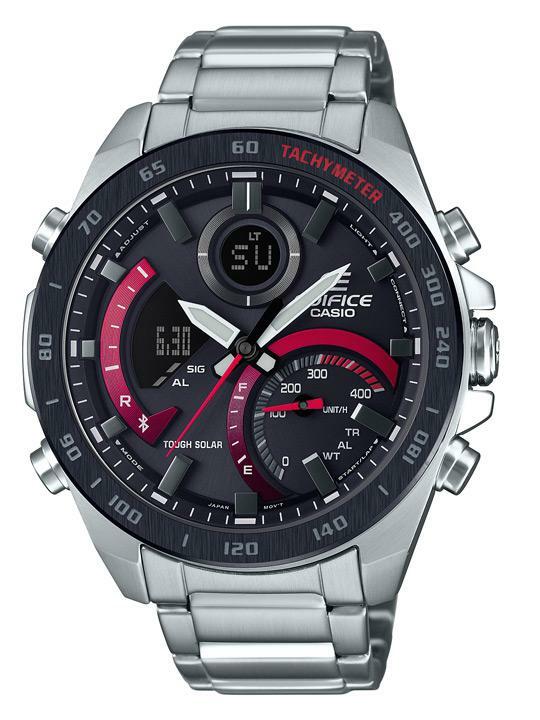 Coupled with the motorsports-inspired accents, the ECB-900YDB looks every bit the imposing athletic and teched-up modern wrist statement that all Edifice watches have come to embody.